After checking into the hotel, the modestly priced Comfort Hotel Kiyosumi Shirawawa ($130 per night), it was time to eat dinner. Just a few steps away from the hotel were two restaurants and two take-out places as well. The only one with seats was a local ramen noodle shop. Luckily one of the workers was a foreign student that spoke English, which made the task of ordering dinner easier. 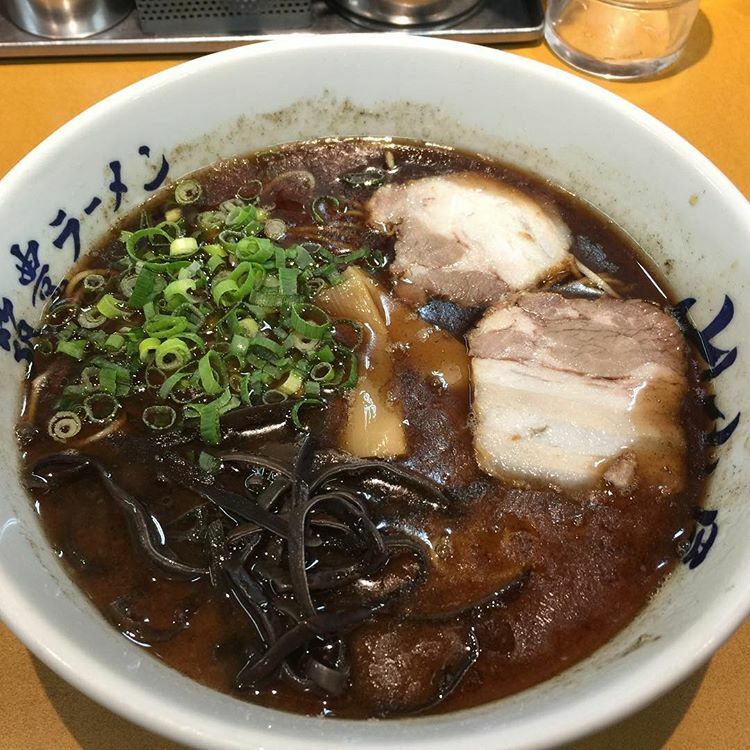 This wonderful garlic ramen noodle sleep led to a good night’s sleep. 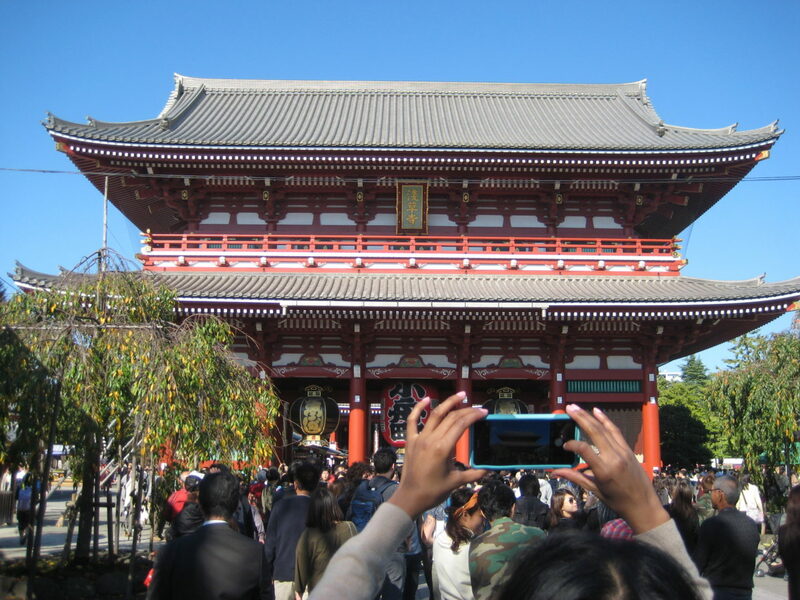 Since I had only two days in Tokyo, the days had to be jam packed with activities. 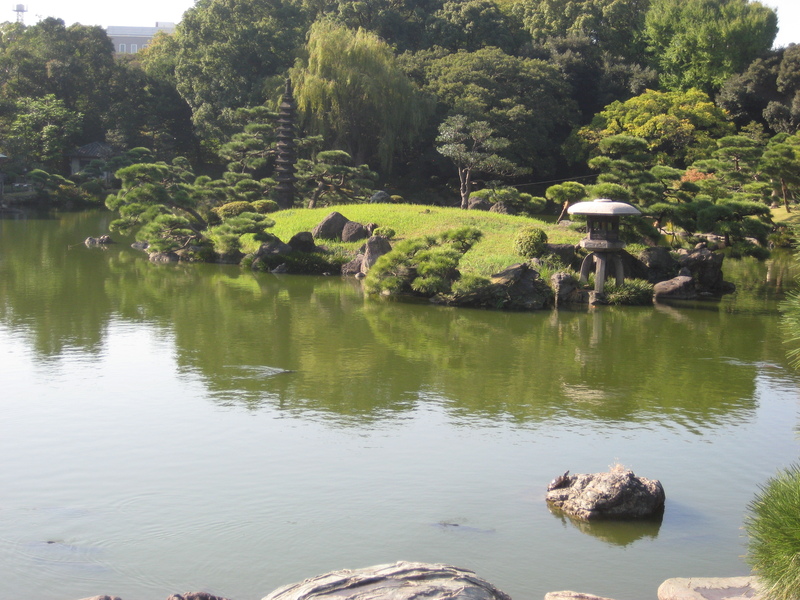 The day started with a walk to the Kiyosumi Garden, which was just across the corner from the hotel. This is one of the most beautiful gardens I have ever visited, and even more surprising since it is in an unassuming local area. After this, it was off to the Edo museum, which is basically a museum displaying life in Japan during the Edo period. There are several life-sized exhibits here, enough to keep one busy for 1-2 hours. 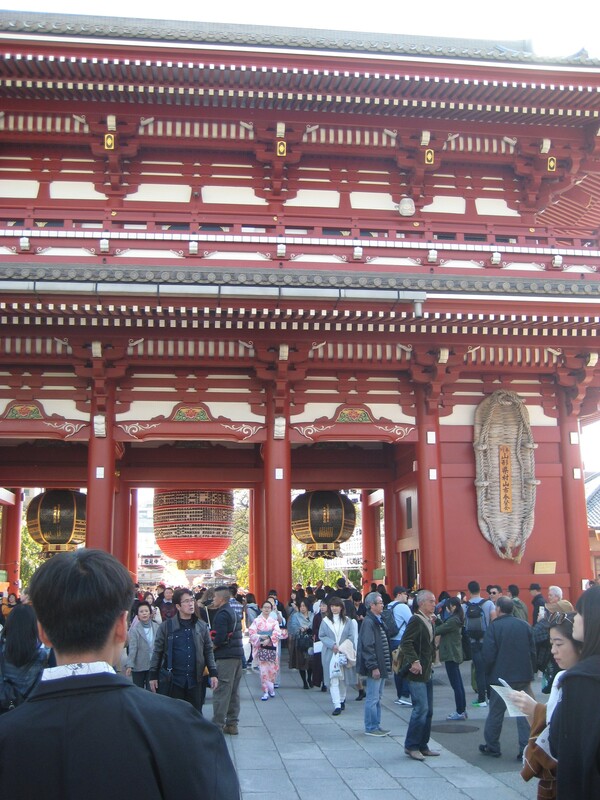 From here, it was off to Asakusa, home of a bustling market and Senso-ji shrine. 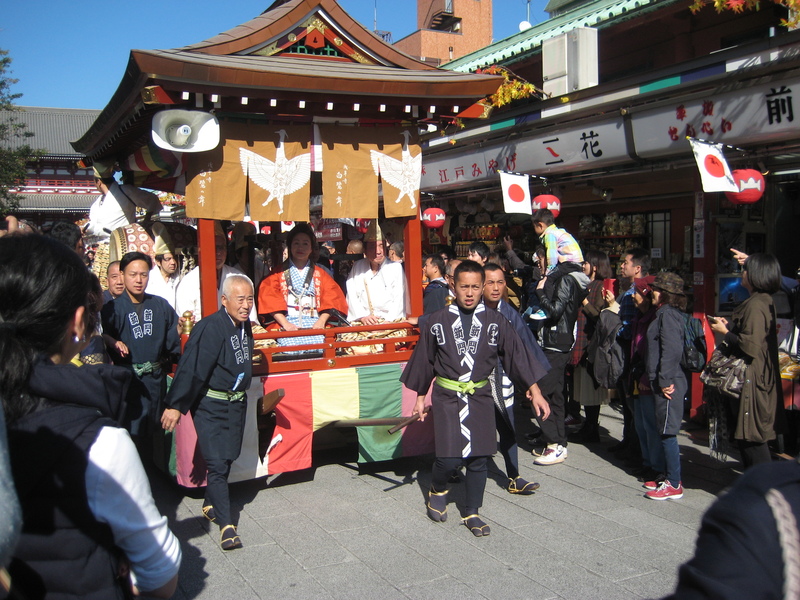 Since it was Culture Day, a national holiday, there was a procession that went by, a mini-parade of sorts. This is the best place in Tokyo to get souvenir shopping done. After this, it was off to the nearby SkyTree, the tallest building in Tokyo. Unfortunately, the line looked to be about 30-45 minutes long, so it was not to be. However, the bottom floors are full of interesting shops and restaurants. The previously tallest building, Tokyo Tower, is said to be not as crowded. In a future visit I would definitely give that tower a try. After dropping the shopping off at the hotel, it was off to Shibuya. 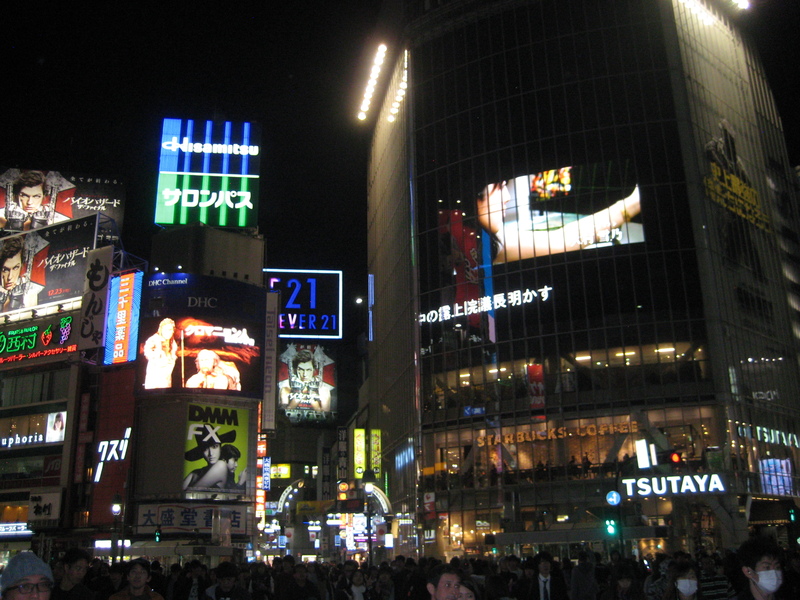 This is essentially the Times Square of Tokyo, only with a different name, Shibuya Crossing. The atmosphere is electric, and exuberant energy is in the air. 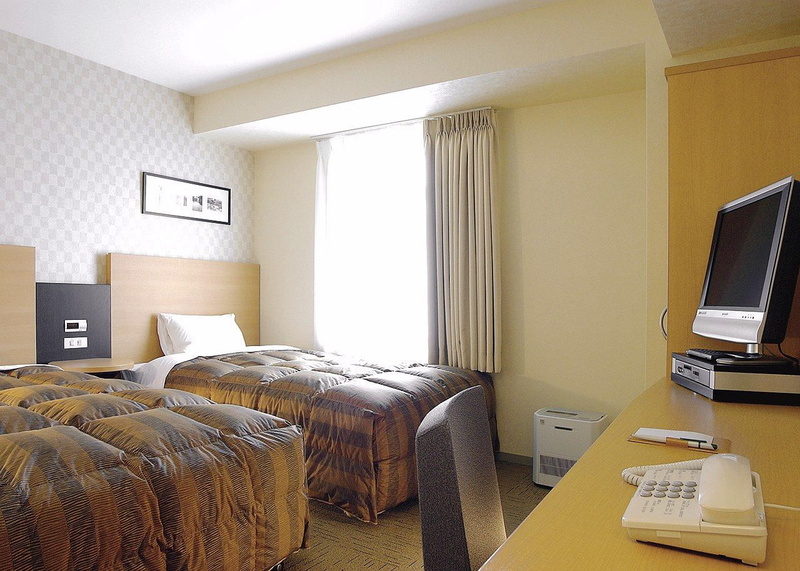 This is a very popular place for Tokyo’s young adults. 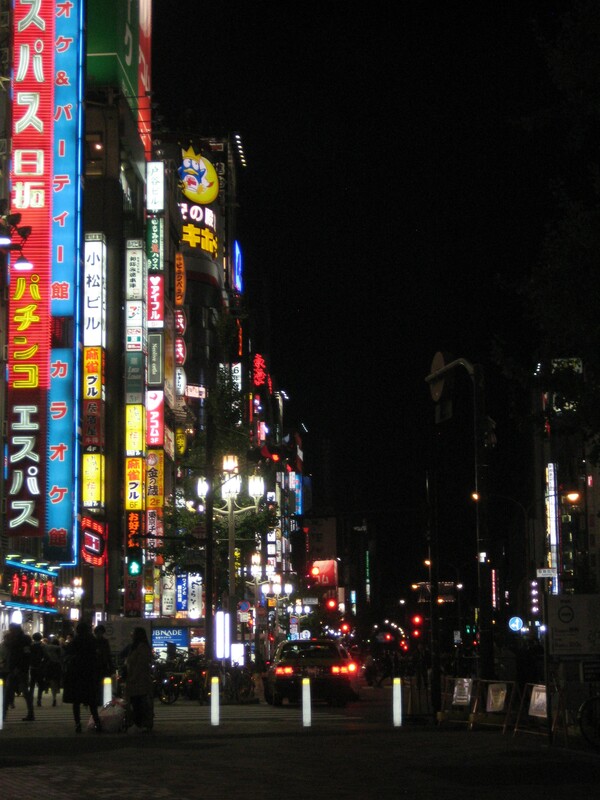 From here it was off to Shinjuku, Tokyo’s nightlife capital. Unfortunately, it is also a red-light district of sorts. There are alleys full of X-rated establishments, with touts trying to sucker tourists inside. Finally, after 16 long hours, it was off to sleep and time to the second and final day in Tokyo.